It’s now easier than ever before to keep up with all the events and activities of the Come-See-Me Festival! We’re proud to introduce our official Come-See-Me Festival app, which is now available in the app stores for Apple and Android devices. This free app gives you all the information you need to know about this year’s festival, which begins on Thursday, April 12. Access the full schedule of events from the palm of your hand. 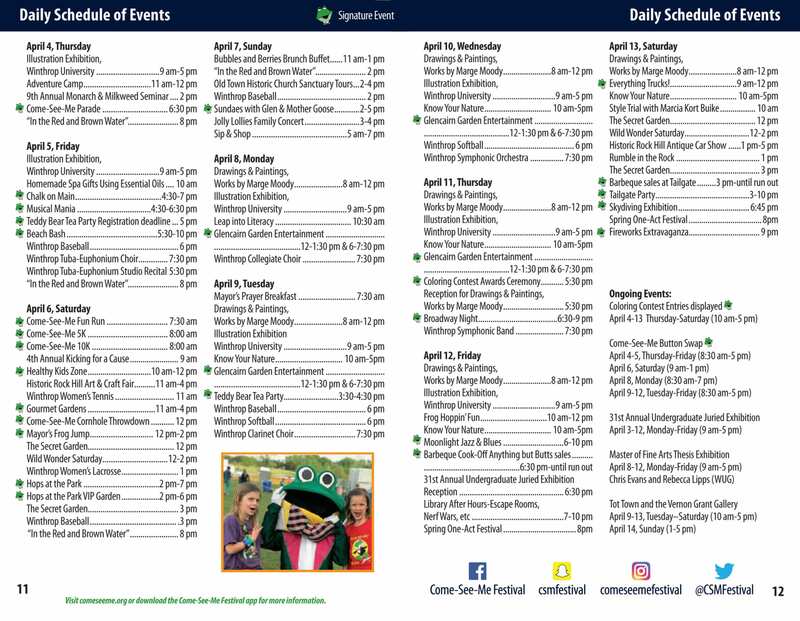 You’ll be able to scroll through each day’s events, read full descriptions of what’s happening at each one, and set reminders so you don’t miss out on any of the fun. Sign up for notifications of breaking festival news. The app can send you notifications about weather, changes to the schedule, and other important news you need to know. To take advantage of this feature, make sure you enable notifications when prompted after you’ve downloaded the app. Check out the action on social media. You can access the festival’s Facebook, Instagram, and Twitter feeds right from the app. Don’t forget to use our official hashtag, #csmfestival, on all your social media posts. Learn more about our sponsors. Come-See-Me couldn’t happen without the support of our sponsors. The app lets you view sponsor names and logos by category. Tap on a sponsor name to view a description of the business, find contact information, and visit links to their social media pages. But don’t just read about it—download the app and see for yourself! We hope this enhancement makes your festival experience great. Join us April 12-21, 2018!